Many of us would think of retirement if we ever won a big lottery jackpot. 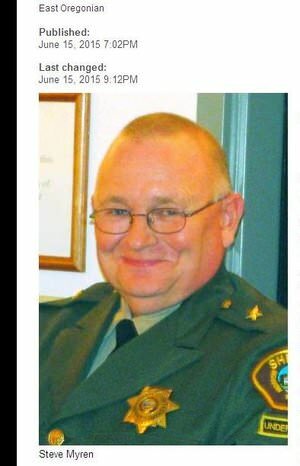 But people who love their jobs, like Morrow County undersheriff Steve Myren, would carry on working even after winning millions. Myren won a cool $5.5 million from an Oregon Megabucks ticket for the June 8 draw which he bought from the Boardman Chevron station. The lucky lawman later opted to receive his winnings through a 25-year annuity. The winner says he plans to work to retirement age, which comes in two year’s time. After that, his winnings will come in handy.